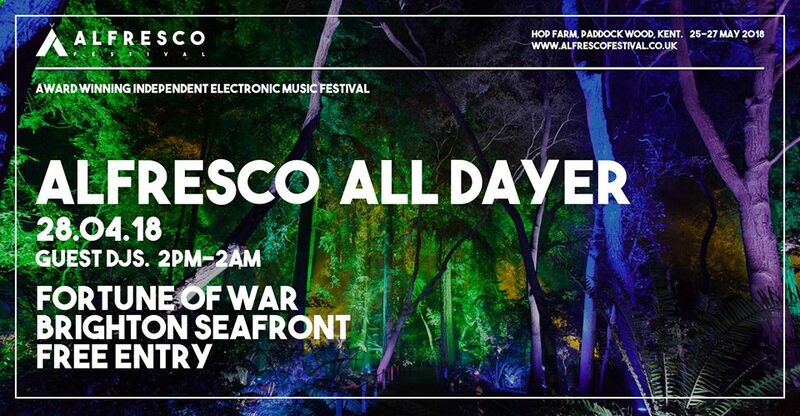 Alfresco holds an all-dayer on Brighton seafront! A selection of your Alfresco favourites take over The Fortune of War from 2PM-2AM, with free entry all day. Expect a fantastic outside area , sea views , cold drinks, and some amazing music!